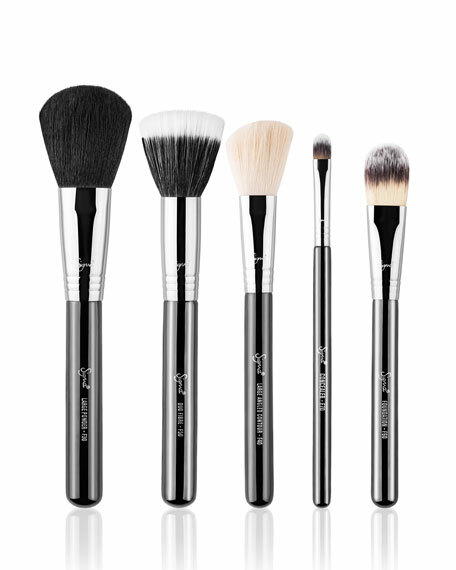 The Basic Face Kit contains five professional quality brushes for the face. Perfect to apply liquid, cream and powder formulas, this kit is ideal for all over face makeup application. Great for beginners. In 2009, Dr. Simone Xavier and Rene Xavier Filho launched Sigma with just one cosmetics brush set that started a cult following. These luxurious, professional-quality brushes help create flawless looks for any beauty enthusiast. Perfectly shaped for precise application in the tiniest areas including shadows, corners of eyes, tiny scars or blemishes. The flatter, wider surface at the base of the brush is ideal for larger areas like ruddy cheeks, patches of broken capillaries, sun spots or any areas of discoloration.